would you replace maleficent for Jafar or hades as the main disney villain or just keep her? we have square Enix main villain Xehanort then we have disney main vialln maleficent but if you had the choice to replace her would you? Depends on how the finale handles her storyline. If KH3 is Xehanort's swan song the same could be said for Maleficent. If she dies permanently then yes, a new main Disney villain should take her role. Hades would be a good choice. While comedic he can be threatening at the same time. Honestly, I think Maleficent plays the role perfectly. I wouldn't change her for another villain. Though when it comes to the KH universe Maleficent is fine, she does her job perfectly and she's actually pretty interesting now. It's pretty inquiring what she's going to do next and how her plots tie into the game and with the Org 13. I would have replaced her in 2 with someone else. I don't hate her i just don't feel like she did enough to warrant bringing her back past kh1. She had potential but it was squandered over the course of the series. I'm not sure who I'd replace her with yet. Hades feels like a better partner for Pete than Malificient as he has a better sense of humor. Pete's a comic relief villain and I'm suprised Maleficent kept him around for so long. The fact she is a female is kind of a big deal because if it was like Jafar/Hades and Pete traveling the universe together it would be gay. I don't think there's anyone more fitting than Maleficent to be portrayed as Disney's villains. Jafar's is too ambitious for his own good, and Hades is too in his own comfort zone to try to do that. How.... how would it make it gay....? I don't mind Pete being the 'silly ineffectual villain' type in KH's incarnation, but I do long for a more threatening foreboding characterization from him. You don't think Pete can be an awesome villain? Go watch Prince and the Pauper. It's hard to replace someone as calm and collective as the mistress of all evil herself, in the KH series. Her part is played magnificently. Now...I have no problem with Pete's role in KH as well. In fact I honestly like that Maleficent and Pete partnership. 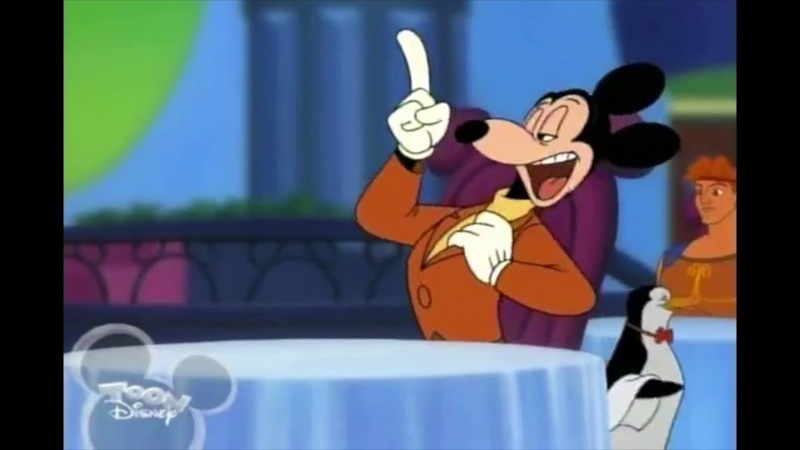 But if there was someone that would replace Pete, I would prefer someone more calm and collective yet still lives in Disney Town and a rival to Donald, Goofy, and especially Mickey. Now...THAT role goes to this dude. I just feel it wouldn't be as fun as having that fun yet serious goofball like Pete. It wouldn't be the same imo, but these Maleficent and Mortimer would probably be a better matchup, since Mortimer has the brains unlike Pete, though they match in cockiness and arrogance. If Maleficent is ever perma-defeated, and a new Disney threat comes forth, I'd actually like for someone like the Horned King from the Black Cauldron to be in. Maleficent doesn't need to be replaced, she just needs to be as intimidating as she was in Kingdom Hearts. She's basically the avatar of Disney villains. I'd keep Maleficent but use her more wisely, not second to an original villain. Hopefully the next saga will have her as the main threat. What if we do a twist and instead of using a Disney villain to play as the main Disney villain, have one of the Disney good guys be corrupted by darkness from his own fault, get overtaken by it, and become the next Disney baddie? Yeah, they're pretty much the Edgeworth-Gumshoe of the KH franchise, ahha. And serious-cool character sided with a goofy one seems to be something of a big trope in Japanese media.